Summary: Giving your VA the capacity to manage missunderstanding is key to win your customer’s trust and satisfaction. A Virtual Assistant doesn’t usually answer 100% of the users’ requests. Misunderstandings may occur for many reasons: Most commonly, the question hasn’t been anticipated or the user’s input is simply… unintelligible. Both situations happen often, especially if your Virtual Assistant knowledge base is too general. The dream of creating an artificial mind and reveal the mystery of human intelligence has fascinated humans for centuries. Many researchers and scientists have been working in this field even before the term Artificial Intelligence was created in the mid-50s. No wonder, because if you spend a few seconds thinking about the influence this could have on our lives, we realize that our environment can change completely. This video shows two animated speaking chatbots talking to other. I don’t know the creator nor something about the technology used for AI components, speech technology or avatar animation. I assume that the dialogue is a text to text interaction and that the speech is synthesized (i.e. the speech itself of the other chatterbot is not interpreted). ASR (Automated Speech Recognition) is definitely the next step. I’m waiting for it! Summary: FIONA, the new global platform to create Intelligent Virtual Avatars, will be launched soon. According to Gartner, in a few years 85% of customer-company relationships will be made without human mediation. To reach that goal we need Virtual Avatars to be more intelligent than they are nowadays. 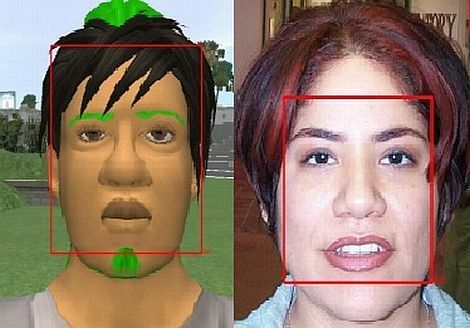 FIONA (Framework for Interactive-services Over Natural-conversational Agents) is a global online platform for the creation of Intelligent and Interactive Virtual Avatars. FIONA’s first beta version is going to be launched soon and we are searching for beta testers. If you work on human computer interaction and artificial intelligence, you are 3D Designer, you have TTS or ASR modules, or you create virtual agents, you can become a beta tester. You only have to register in http://www.sparkingtogether.com. Rapid-Learning and industrialization are key components for today’s e-learning managers. This is due to an urging need to control the training budgets, industrialize the production process, capitalize on best practices, and to reduce the Time-to-Market. I’m pleased to publish this post following a very interesting interview with Michel Diaz, Associate Director at Fefaur, a leading French consulting company in the field of e-learning and management consulting. Michel explained his vision of how avatars can answer the needs of industrialization in e-learning production. CodeBaby, a company whose award-winning digital characters are shaping the growing online self-service marketplace, today announced its partnership with inbenta, a leader in Natural Language Processing and Semantic Search. Recognizing the expanding market demand for self-service solutions, CodeBaby and inbenta have joined forces to deploy intelligent virtual assistants that increase online conversation rates and customer satisfaction. 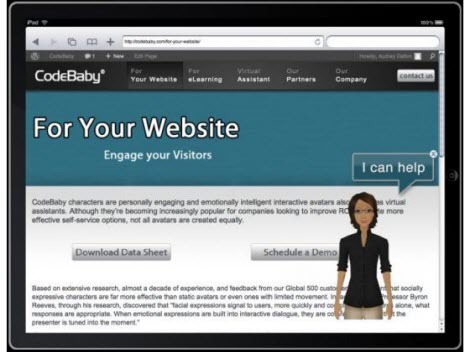 The new alliance will deliver technologies through online assistance to web visitors via the CodeBaby Intelligent Virtual Assistant (CIVA) solution which provides digital characters that engage website visitors and seamlessly guides them through the online self-service experience. By driving interaction with the inbenta semantic engine – which incorporates technologies enabling intelligent interactions though its Natural Language Processing solution – visitors dramatically increase their ability to find the information they are seeking online, thereby improving the overall customer experience. This technology reduces operations costs for inbenta customers by diminishing the dependency on customer support professionals.